If you’re planning to visit NSW on a leisure or business trip, we highly advise you schedule your travels so you can attend the V8 Supercars event between 21 and 23 August. There are two adrenaline charged 60km races on the Saturday and a slam-speed 200km race on the Sunday. It’s an ideal way to spend a weekend if you’re entertaining business clients, right? The event is choc-full of schedule activities with the Porsche Carrera Cup adding to the zap and bling of this highly anticipated event. As a rare treat, the FIA sanctioned CAMS Australian Formula 4 Championship will be featured – a first ever for NSW. If you’re in the extreme need to splash out, you can take an aerial tour of the Motorsport Park and view the racing from high up in the sky. The rides are situated in the hill near Main Entrance A and will be offering rides on both days (all details featured on the V8 website). Since 1990, the premier touring car race was only 500km with slow entry speeds yet now, this event attracts thousands of visitors with multi viewing spots. As this is the 25th Anniversary of the Sydney Motorsport Park, we expect both days to be packed with attendees: local, national and global. Kids under 12 years old will receive free trackside admissions when accompanied with a paying adult. The prices range for grandstand, paddock passes, trackside, hospitality and park & view from $30.58 AUD and upwards. A 3 day paddock pass sells for a reasonable $61.17 right down to a one day (Friday) pass at $19.37 – designed to not melt your credit card. The full event schedule is still being set so you’ll have to keep checking their website for details but expect to see some gems in the lineup, racing towards the finish line. These include Jamie Whincup (Red Bull Racing Australia) to Mark Winterbottom (Pepsi Max Crew) and Mike Caruso (Nissan Motorsport) amongst the 25 confirmed already. If you can’t make one of the day’s events in person, then check V8 Motorsports website for live streaming, alongside past video footage. Its brilliant viewing, we highly recommend it. 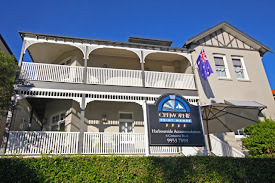 The venue is around a 45 minute drive, east of Cremorne Point and our boutique Sydney hotel. Winning our fifth consecutive Certificate of Excellence Award by Tripadvisor, we’ve already run our race, grabbing the first prize trophy. So buckle up, enjoy the ride as this August weekend’s going to be fast and furious.